Need4Weed, bushmasterar15 and MissUniverse like this. Im from the northeast bro its -20 where im at right now if i cant grow putside in the sun im bringing rhe sun to me lol. Its actually gonna save me money i had 3 lights pulling arpund 700watts thos one pulls a little more than 400 with better xoverage and par. 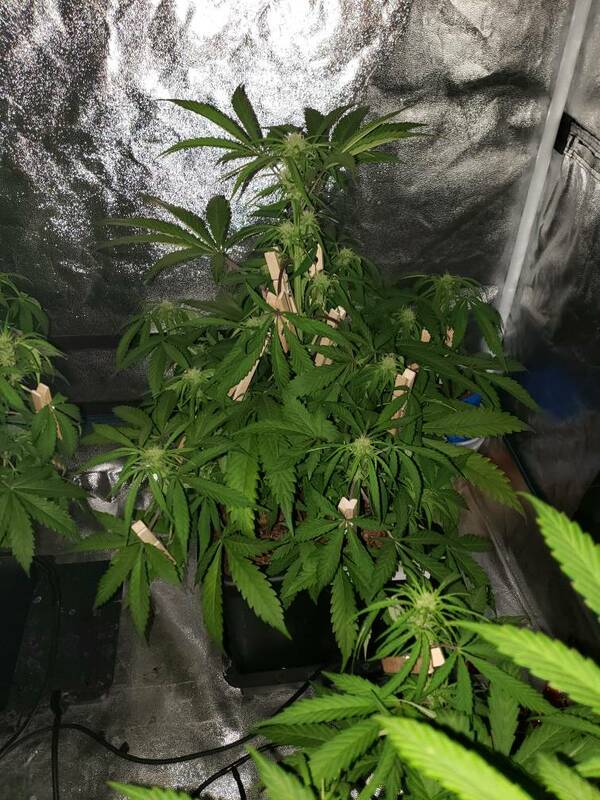 Heres my babiEs their going strong so far. I'm reusing my old coco we will see how it goes but so far so good. Yeah it was -15 last night here so heat is sometimes an issue in winter but luckily its been good. Summer it can be an issue too. It's either too cold or too hot or for a month a year it's just right. Goldilocks would hate it here. Dabber, Need4Weed, bushmasterar15 and 1 other person like this. @MissUniverse ypu cant be to far from me then. 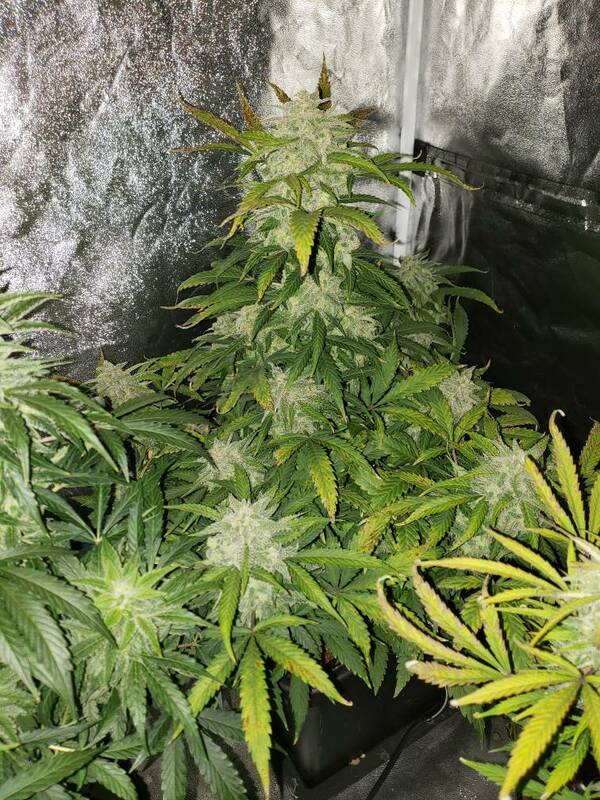 Yea the best time for growing where I am indoors is mid fall and it seems that for the past few years we have skipped spring and fall and only have winter and summer anymore. Growing outdoors isn't even really possible. You can but will be very disappointed with the results. 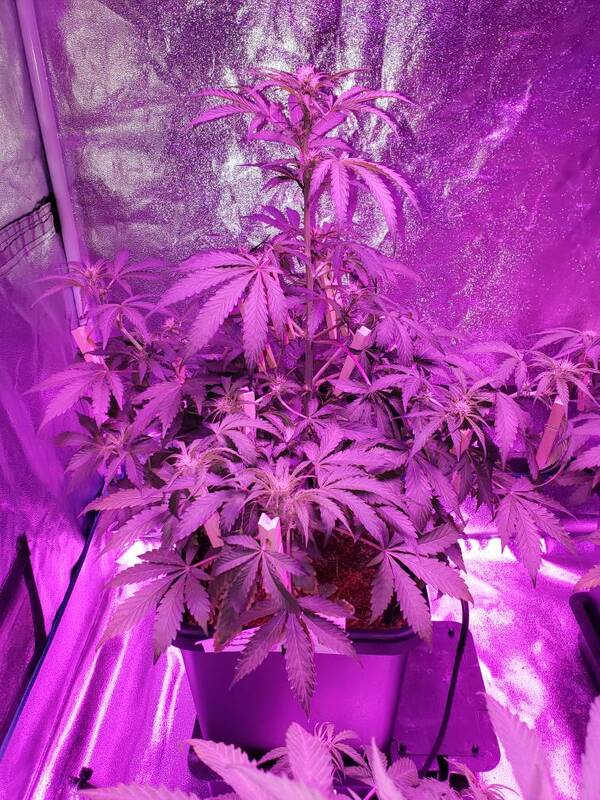 I've tried just about every possible way growing outdoors up here from little greenhouses to dutch bucket gorilla hydroponics. But was mostly unsuccessful in getting the quality that I look for. Need4Weed and bushmasterar15 like this. Today is the last day to drop seed guys, (not counting re-drops)! Tick tock, tick tock! 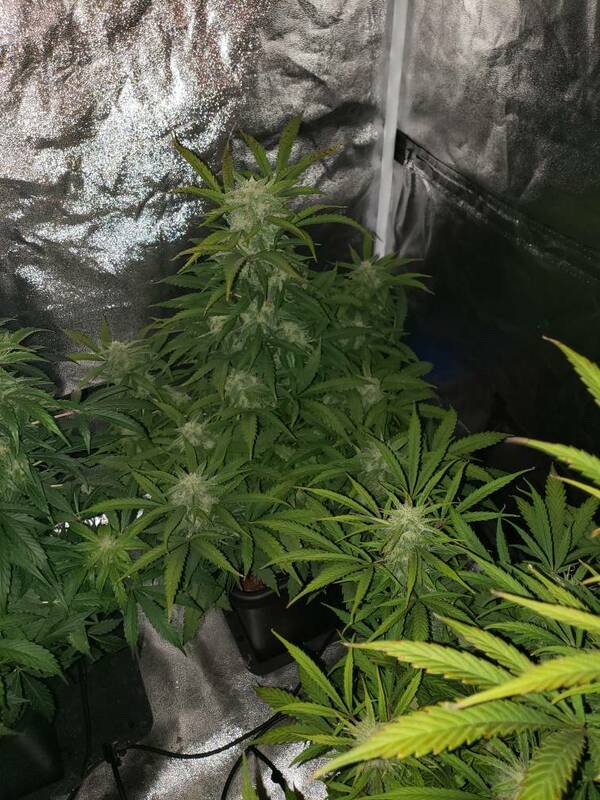 @Need4Weed Ok here is week 2 update Auto Seeds Diesel Berry 18 days old, the airdomes were turned on at day 10 and by day 15 the reservoir was already going as they've been growing great. 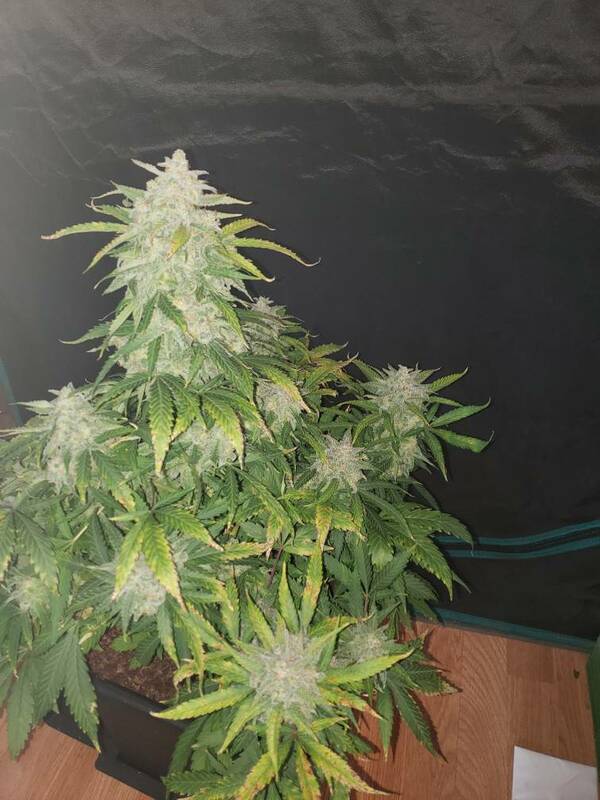 Crappy lights on pic but here are mine at day 37 Short Stuff Purple Gorilla, Auto Seeds Diesel Berry, Bombseeds Berry Bomb and Fastbuds Zkittlez. 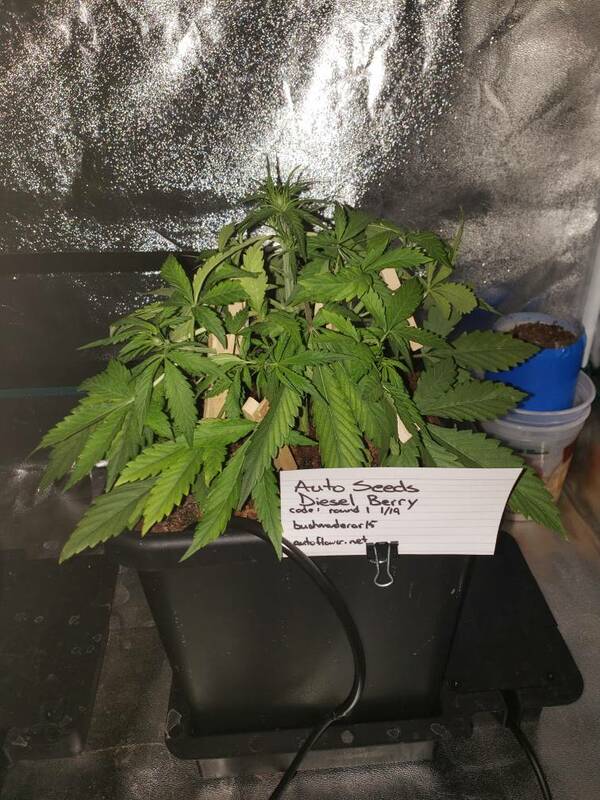 Week 5 update day 39 Auto Seeds Diesel Berry my battle plant choice. After the cold snap with my 50f - 65f temps and 25-35% humidity for the week. I'm now getting back up to 65f - 77f temps with 35-40% humidity. 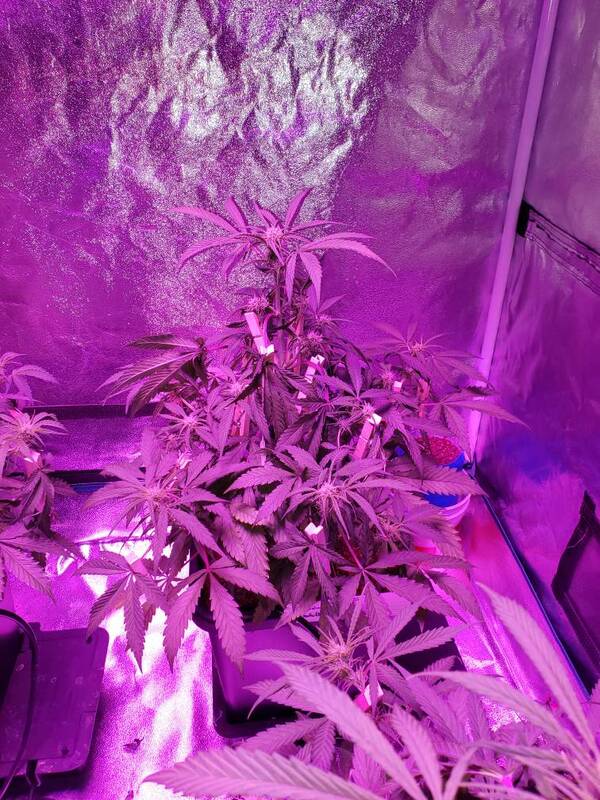 The nute schedule is Megacrop 4g/gal, Sweet Candy 1g/gal, Greenlife Microbial Chelator 1ml/gal, Greenlife Bloom 0/17/17 1ml/gal, Earth Juice Oilycann Calmag 8ml/gal and a splash of Drip Clean in the reservoir. They are ranging from 15 inches up to 23 inches tall right now. Still stretching so I keep adjusting the clothespin LST and leaf tucking. 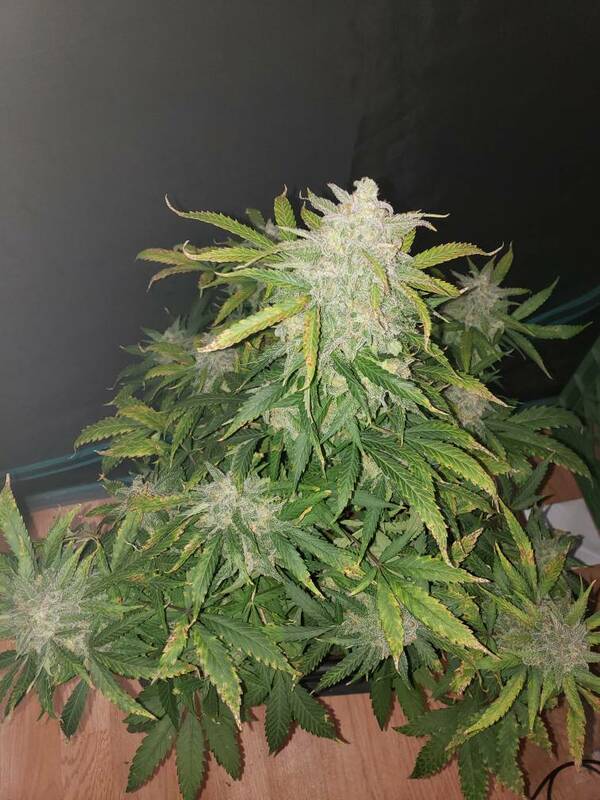 Ok here we are at day 49 now Auto Seeds Diesel Berry. 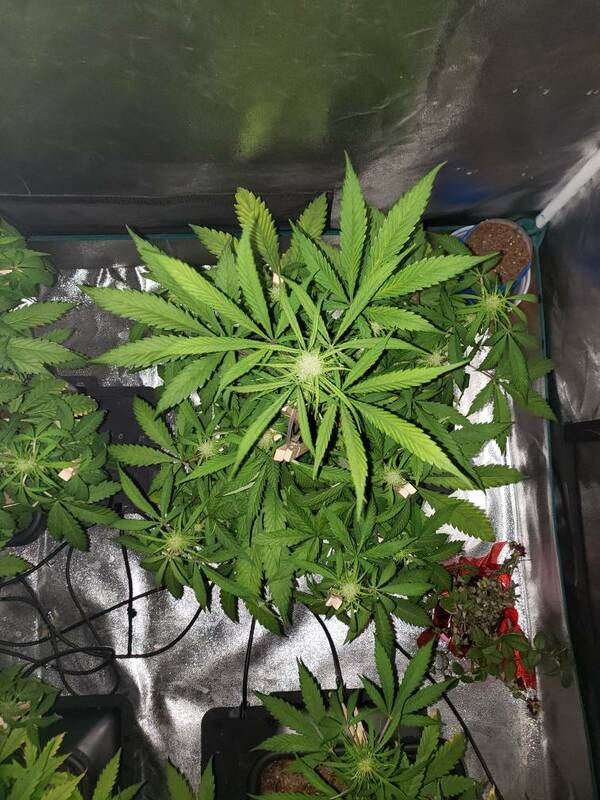 For nutrients I'm at 4 grams Megacrop, 1 gram Sweet Candy, 1ml Greenlife Biotics MC, 3mls Greenlife Biotics Bloom and 8mls Earth Juice Oilycann Calmag per gallon. Here we go on day 56. 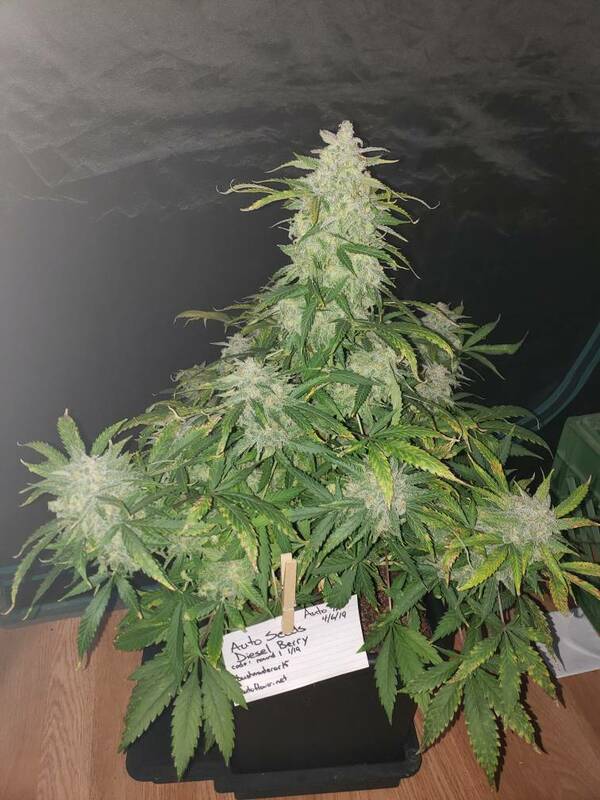 Auto Seeds Diesel Berry My feed schedule is still same 4g/gal megacrop, 1g/gal sweet candy, 1ml/gal greenlife biotics mc, 1ml/gal greenlife bloom and 8ml/gal earth juice oilycann calmag. 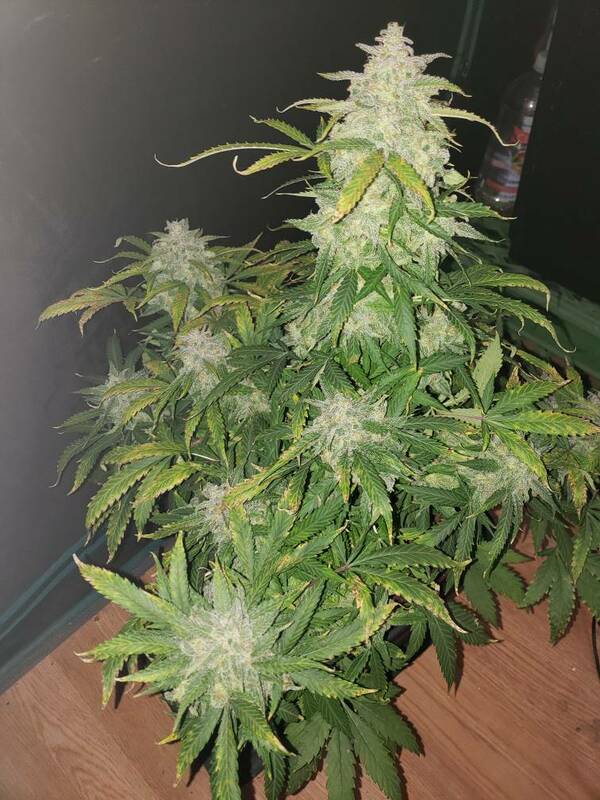 Auto Seeds Diesel Berry final pics at day 75. I thought you had me down? I posted my germ pic yesterday ? It's been marked off on the 1st post as GPS germ pic submitted so your good. Just a little stoner glitch when trying to remember who was still needed to post. CTb1 and Need4Weed like this. bushmasterar15 and FullAuto245 like this.